In 1958, creator Rod Serling asked audiences to follow him into a dimension "not only of sight and sound, but of mind" wherein a wondrous journey unfolded. The original Twilight Zone asked questions plaguing mankind ⏤ not simple ones like "Why are we here?" but rather ones such as "What defines us as human?" and "Where do we go beyond this life?" and "How can we be better people?" Since The Twilight Zone went off the air in 1964, Hollywood remains fascinated by Serling's inventive concept. Despite two failed reboots, which were produced in the '80s and the '00s respectively, horror impresario Jordan Peele is now taking us back to the fifth dimension with his own take on the series. The Twilight Zone has always been a series focused on examining the world and confronting it, either for the darkness that's ever-present or for finding the small comforts within. The new, reimagined series even boasts an adaptation of the iconic "Nightmare at 20,000 Feet" episode from the original series. It's obvious Peele is all for recreating episodes of the past, which makes the CBS All Access reboot even more enticing to watch. With one stellar adaptation already under his belt, we hope Peele will put his stamp on more episodes from the original series. So which ones should make the cut next? Well, we've got some ideas. Let's explore five episodes of the original Twilight Zone that are worthy of receiving the Jordan Peele treatment. 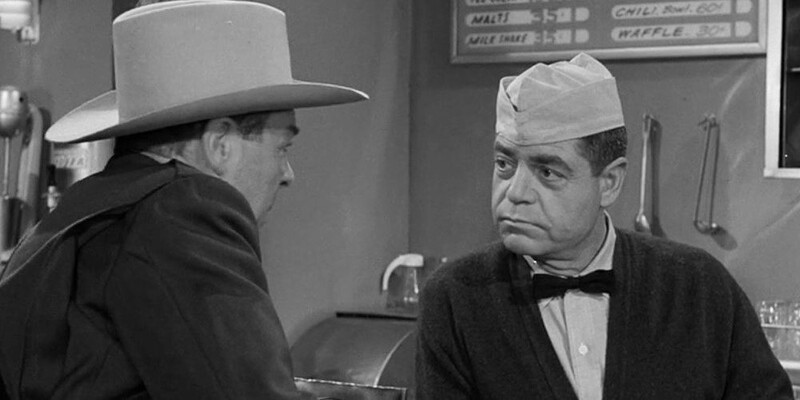 One of the more famous episodes in The Twilight Zone history is "Time Enough at Last" which follows a mild-mannered bank teller named Henry Bemis. Interestingly, Henry would rather live in the happy world of his books than with the people around him. When a nuclear disaster wipes out everyone, Henry is stuck safely inside the bank's vault and is presumably the last man on Earth. With "time now" to read, Henry happily plans out the rest of his life... until his glasses break. 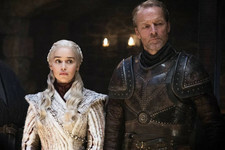 There are two main reasons why this is a great episode to re-contextualize. For starters, with everyone practically living on their phone, it'd be intriguing to see how the absence of technology might force Bemis to return to the world of (gasp!) physical media. 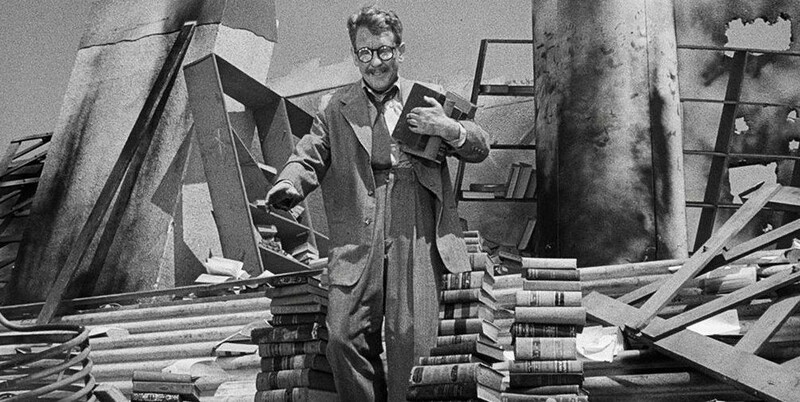 In the '50s, The Twilight Zone was ironically commenting on the world of television, itself a distraction from idle pursuits like reading. How would that commentary change in a landscape where television, social media, the internet, and countless other things we use to fill up our day affect our reading habits? This episode plays like a small-scale mystery, with state troopers interrogating the inhabitants of a small-town diner on a snowy evening. The troopers have witnessed a UFO crash with footprints leading to a diner where, conveniently, a group of people on a bus have sought shelter due to the weather. There are supposed to be six passengers on the bus, yet seven are in the diner. Is one of them an alien? Having watched four of Peele's new take on the series, which are longer than the original's 30-minute episodes, this episode could certainly lend itself to being expanded upon. A key element of the episode is how the various people in the diner start to turn on each other, with couples questioning their significant others, asking about moles and freckles they never noticed before. "Will the Real Martin Please Stand Up?" focuses on humanity and how we tend to turn on each other in times of crisis. A reboot of this episode could certainly focus on illegal immigration while still using the alien conceit. Plus, it'd be amazing to see what Peele does with a twist involving Mars and Venus, if only to see some updated effects. 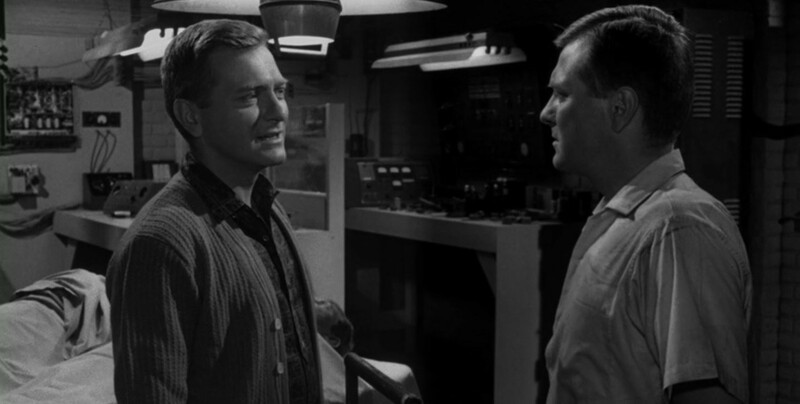 As Serling himself explains, "The Shelter" is a tale with "no moral" and "no message." During a birthday party thrown for a local doctor, a Civil Defense announcement comes on to warn everyone that unidentified objects are heading towards the US With the belief that it's some type of nuclear weapon, the doctor and his family converge in the backyard fallout shelter. Since there's room for only three people in the shelter, the neighbors take to finding any way to save themselves. This episode came out around the time of the Bay of Pigs invasion, the threat of nuclear war was palpable. Back then, the belief was that nuclear weapons could arrive any second and only the wealthiest people could afford the luxury of a fallout shelter. Transitioning this idea for a modern audience would be fairly easy. An alert could go out about a terrorist attack or, like in '61, a nuclear attack ⏤ you might recall the recent missile scare that was mistakenly sent out in Hawaii ⏤ with people needing to converge in safety. "The Shelter" focuses on the lack of civility that takes place when something bad is happening. For 2019, this could be extrapolated to examine the idea that certain people are considered more worthy of living than others. Whether it be race, intelligence, or wealth ⏤ who would be considered worth saving in the event of a tragedy? All of this makes "The Shelter" a relevant episode for any future Twilight Zone installments. 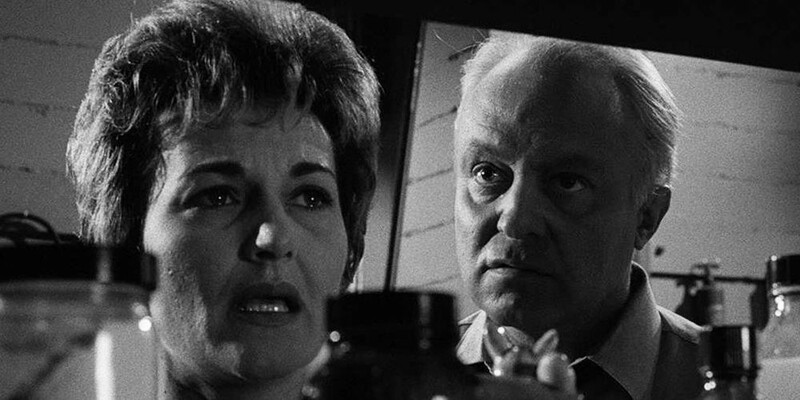 The Twilight Zone's Season 4 episodes are always a source of controversy since this is the season the series went from thirty-minute episodes to an hour. 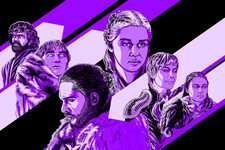 When ranking the best and worst episodes, Season 4 tends to find itself at the bottom of the heap. But, that's not to say there aren't episodes worthy of reimagining, considering most episodes of the CBS All Access reboot are closer to an hour. "In His Image" looks at the idea of nature versus nurture as well as the creation of artificial intelligence. In this case, Alan Talbot is a man with little memory of his past and is prone to violent tendencies. He ends up discovering is that he's a robot, created in the image of a meek man named Walter to be representative of Walter's perfect depiction of himself. Arguably a forgotten episode, what's unique about "In His Image" is how it unintentionally explores the nature of masculinity. On the one hand, Alan is charming, confident, and suave, but he's also incredibly violent. A serious discussion about toxic masculinity could be created with a reboot. In the original series, robots are often presented as harbingers of convenience and conformity, but for modern audiences they could be seen as further proof of our alienation from one another. How would a modern-day robot fare in a world where social media already allows us to create enhanced versions of ourselves? That's for Peele to figure out. Ida Lupino was one of the few female directors in cinema during the '50s and the only female director working regularly in television. 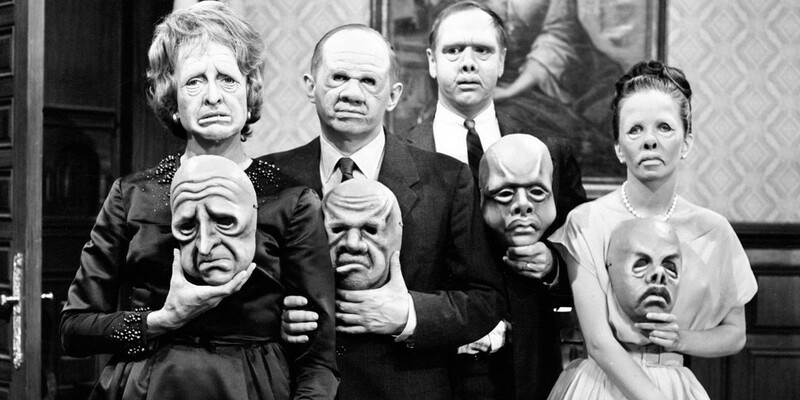 She worked on the original Twilight Zone as a director and actor, but "The Masks" remains a classic and the best example of her TV legacy. The plot follows a wealthy man named Jason Foster, who forces his family to spend the evening with him in order to learn about his will. 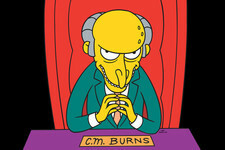 His daughter and her family are vain and money-hungry, merely waiting for him to die and collect everything. As part of his will, Jason forces his family to wear a series of ghastly masks. They must keep them on until midnight, so they can collect the money. Upon taking the masks off their faces, they discover their true personalities are revealed. 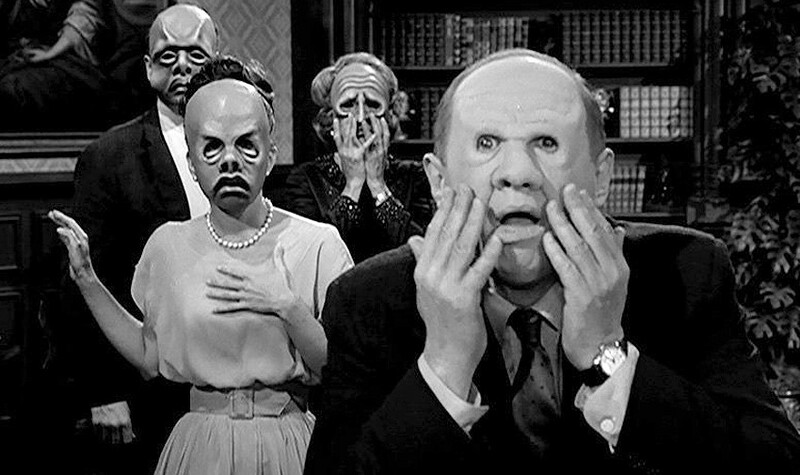 The Twilight Zone greatly utilized makeup effects to examine the role physical appearance has on our souls. In this case, Jason forces his family to wear their real personalities on the outside. It would be wondrous to see Peele's take on this jarring concept. And, to be honest, I'd just love to see Lupino's work gets some love in 2019.